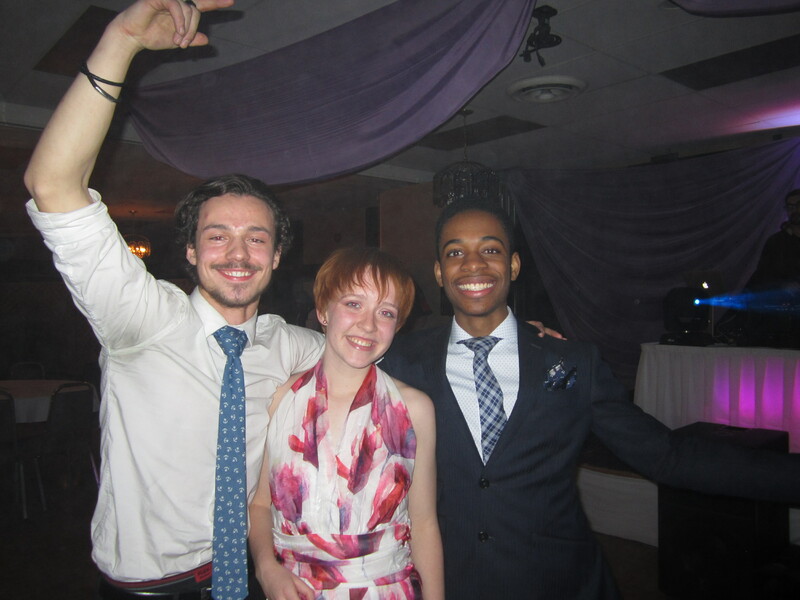 ASA Report Cards: How Did Your Executives Do This Year? 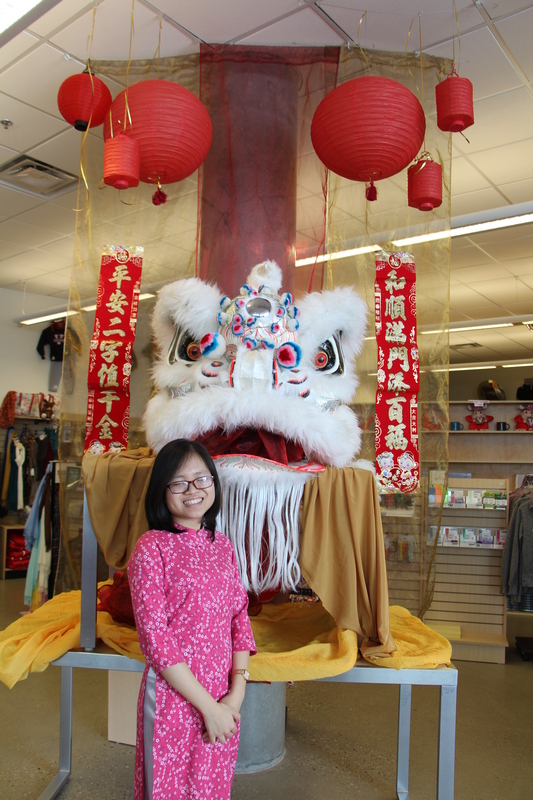 Hien Nguyen stands in front of a Chinese dragon’s head in the Augustana Bookstore. 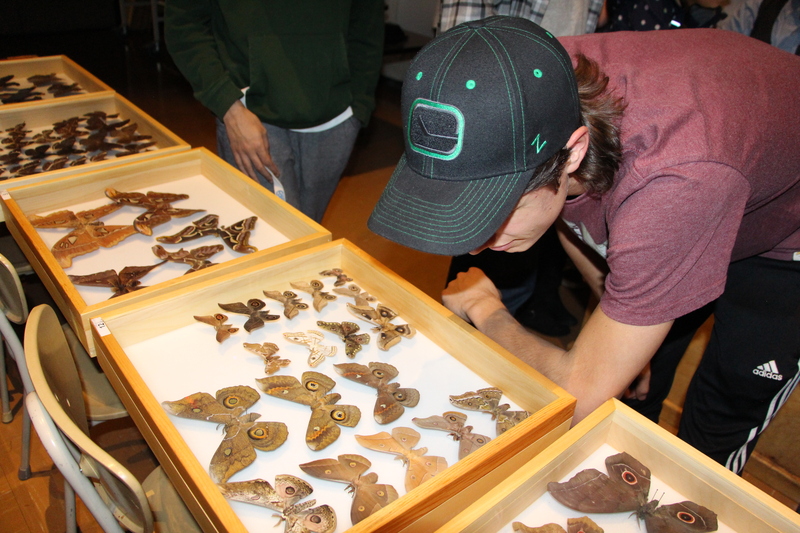 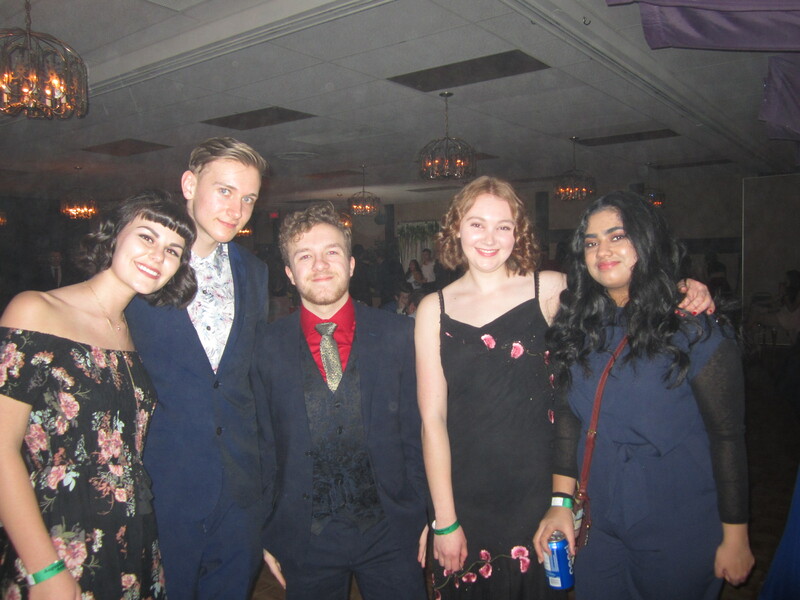 Photo by Isabella Bourque. 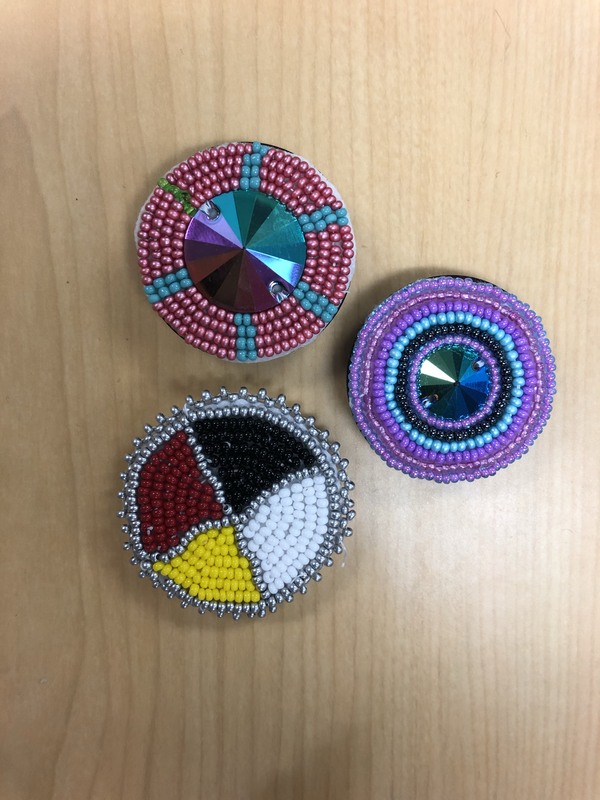 Beading from the ASO’s November beading event. 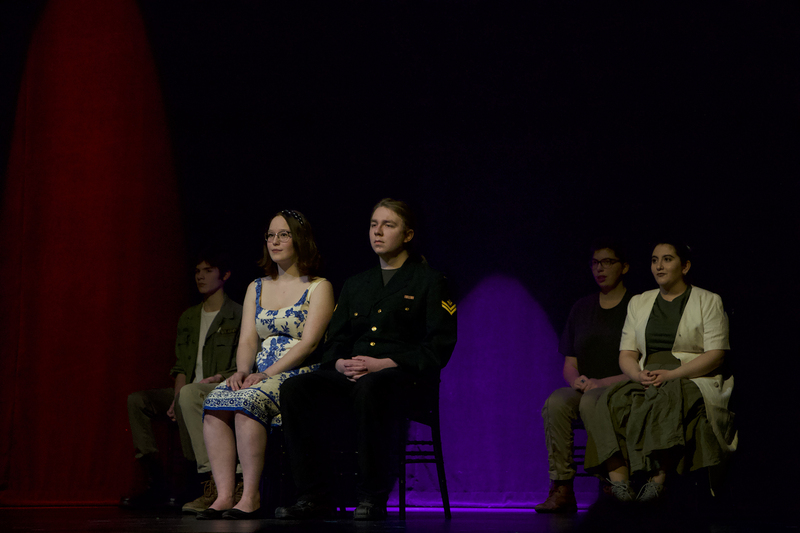 Photo by Sarah Laflamme. 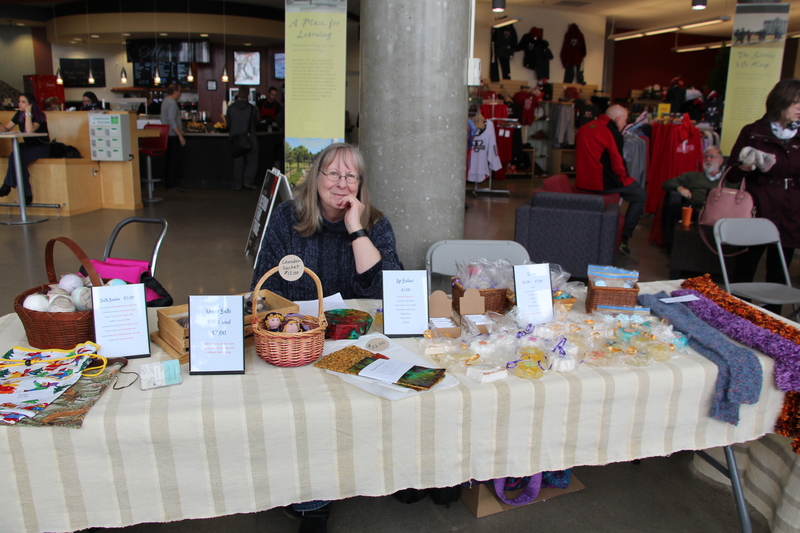 A booth at the Local Made and Fair Trade sale. 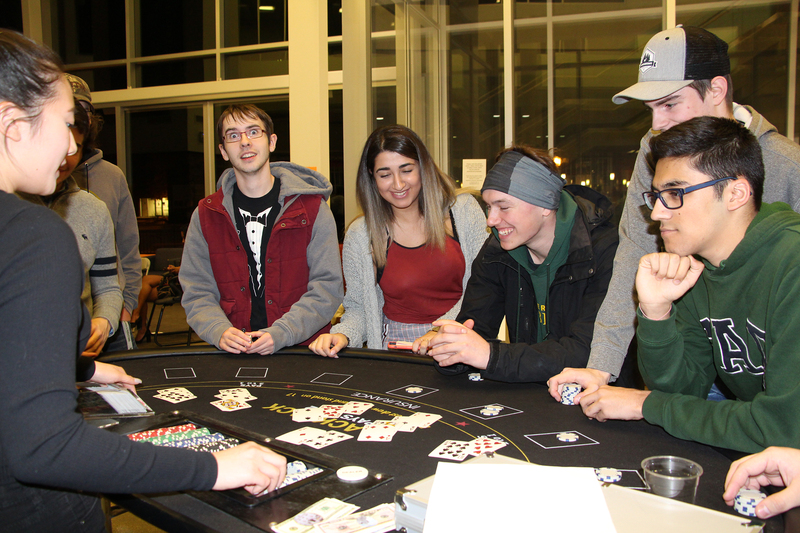 Photo by Raegan Mines/ ResLife’s 24hr gaming marathon for charity. 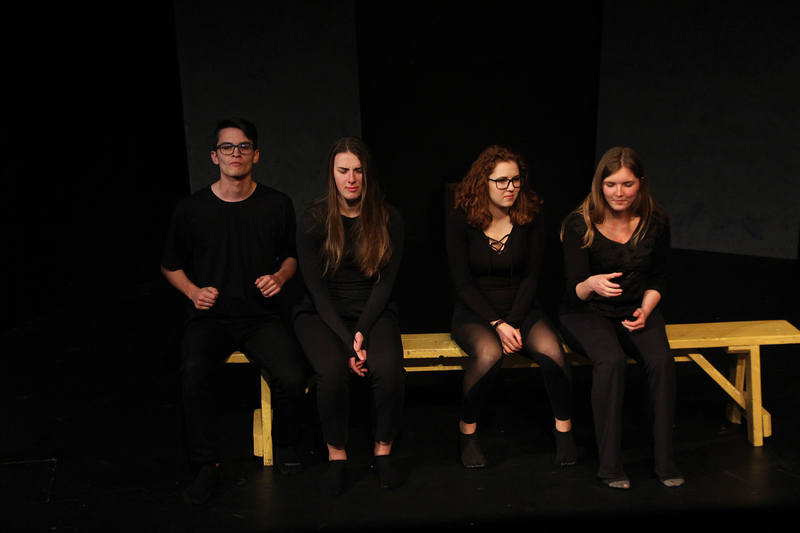 Actors from the Camrose Composite Playhouse performed their Series of One-Act Plays at the Jeanne and Peter Lougheed Performing Arts Centre Jan. 17. 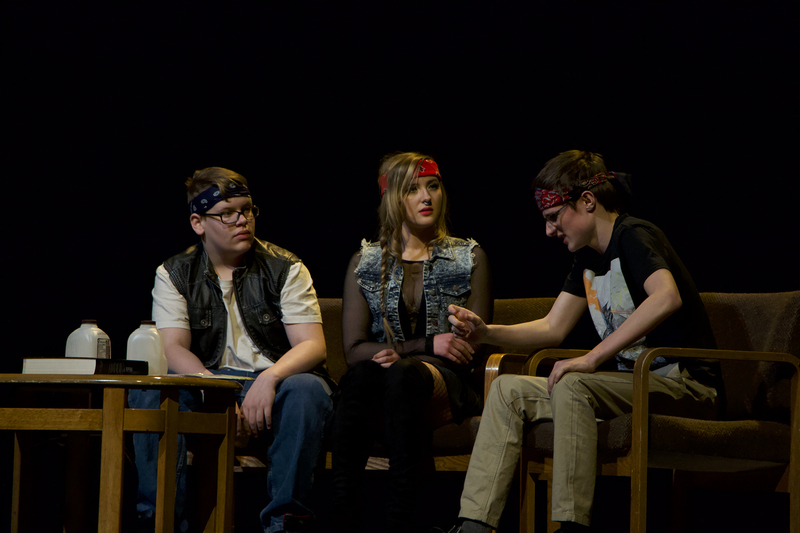 Photo by Sarah Laflamme. 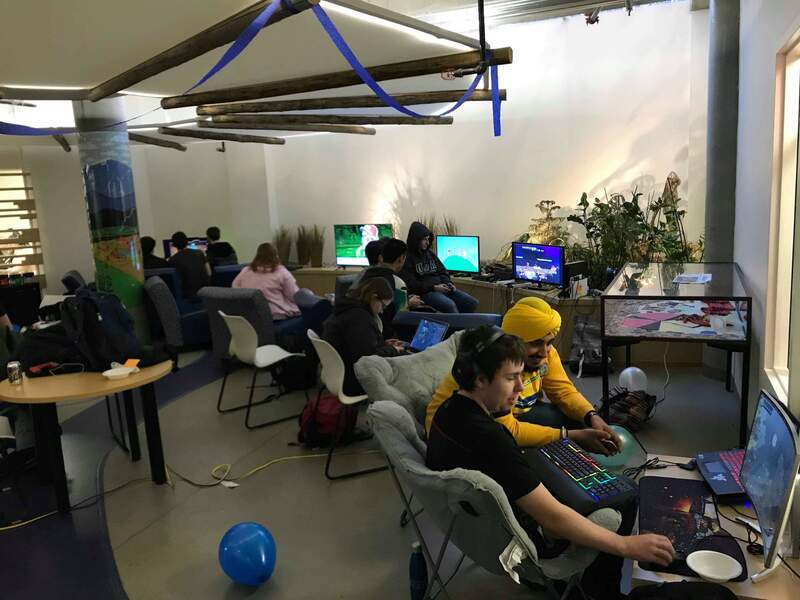 Giving Tuesday! 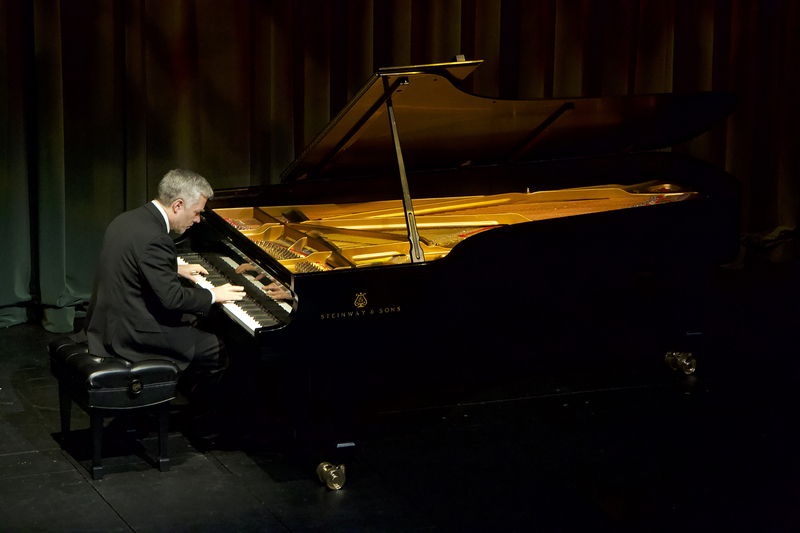 Roger Admiral performs at the Jeanne & Peter Lougheed Performing Arts Centre Jan. 20. 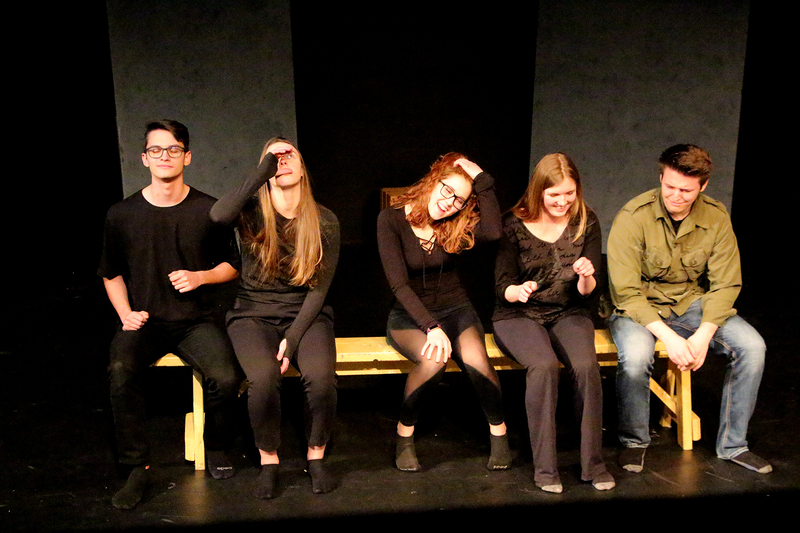 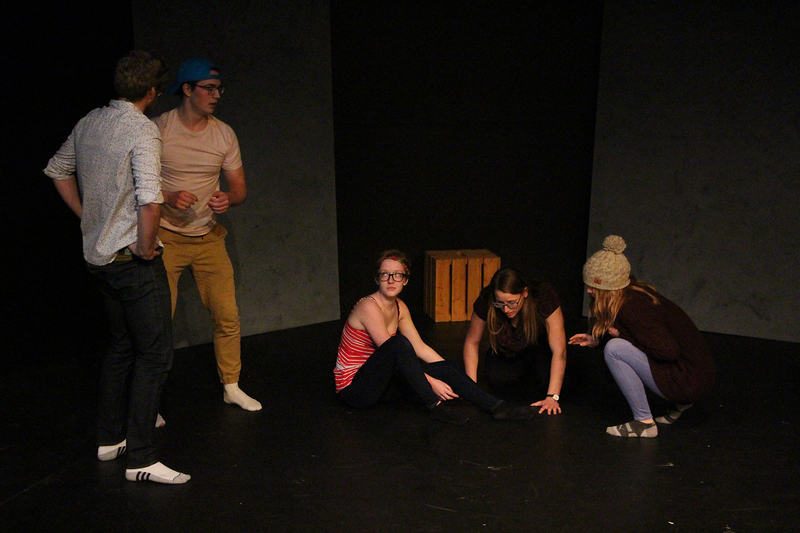 Augustana students took part in an improv class during the Augustana Winter 2019 three week and shared their final presentations with their class. 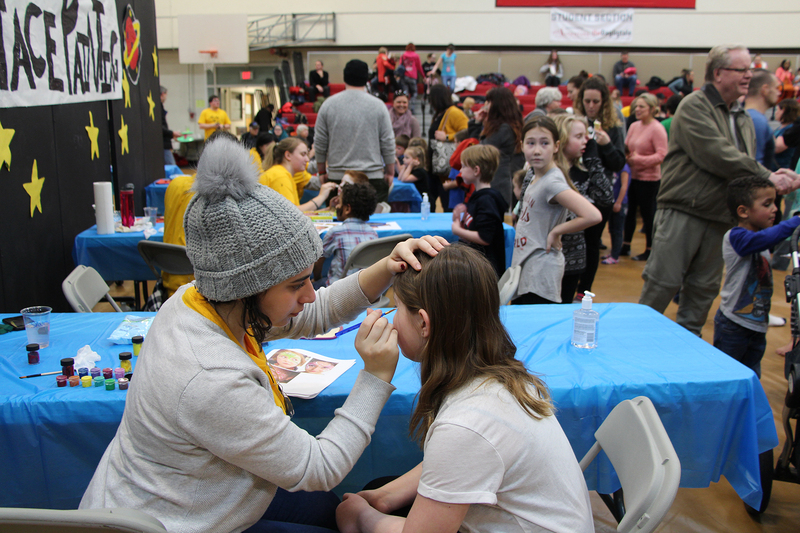 An Augustana student paints the face of a child during the annual Rocky Road event in the Augustana gymnasium Jan. 27. 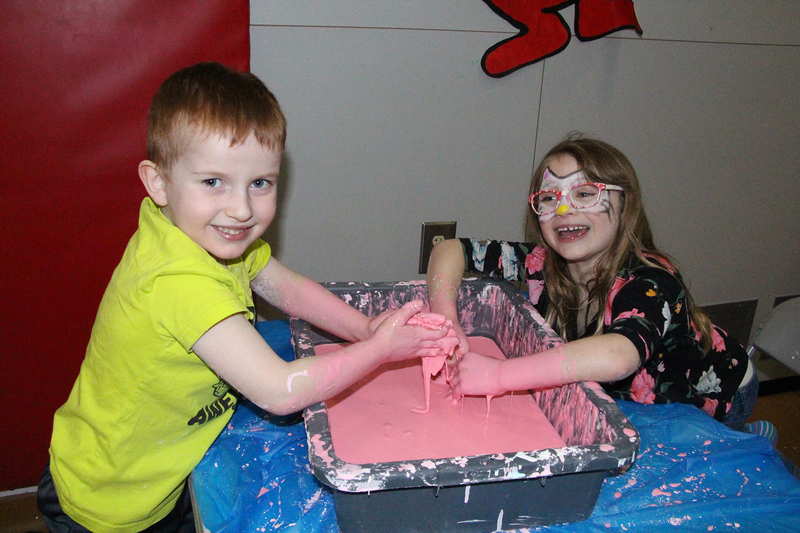 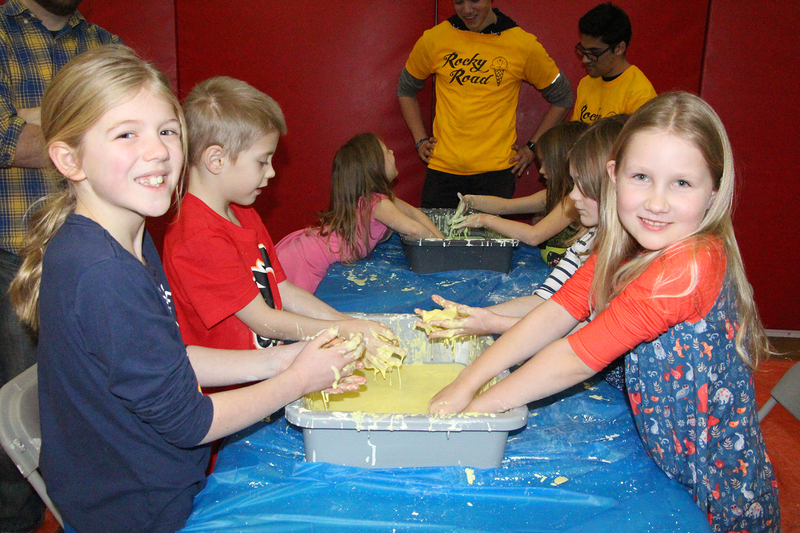 Children play in slime during the annual Rocky Road event at the Augustana gymnasium Jan. 27. 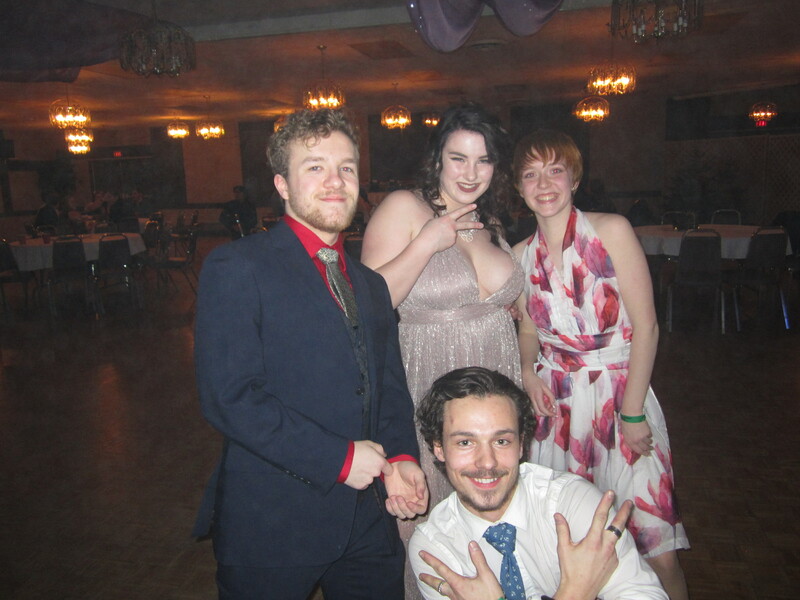 Augustana students enjoy their time during the annual Formal held at the Norsemen Inn Feb. 2. 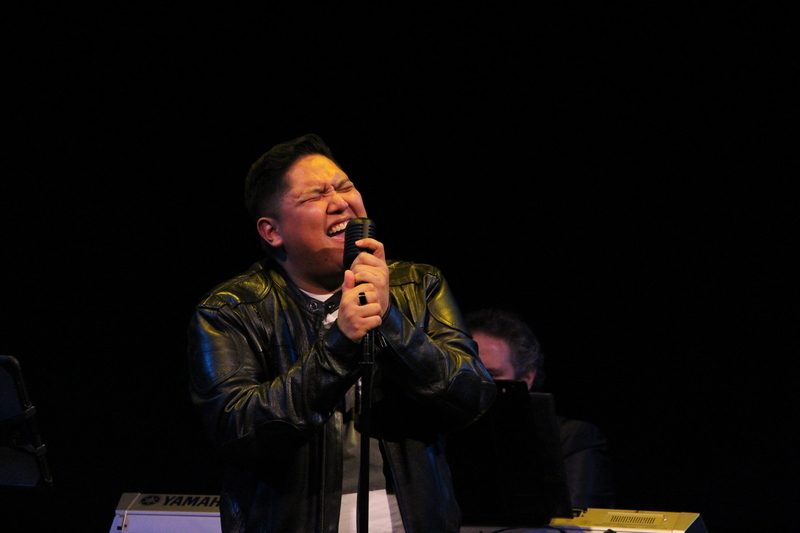 Jazz singer Bernard Quilala wowed the crowd at the Jeanne and Peter Lougheed Performing Arts Centre Oct. 12. 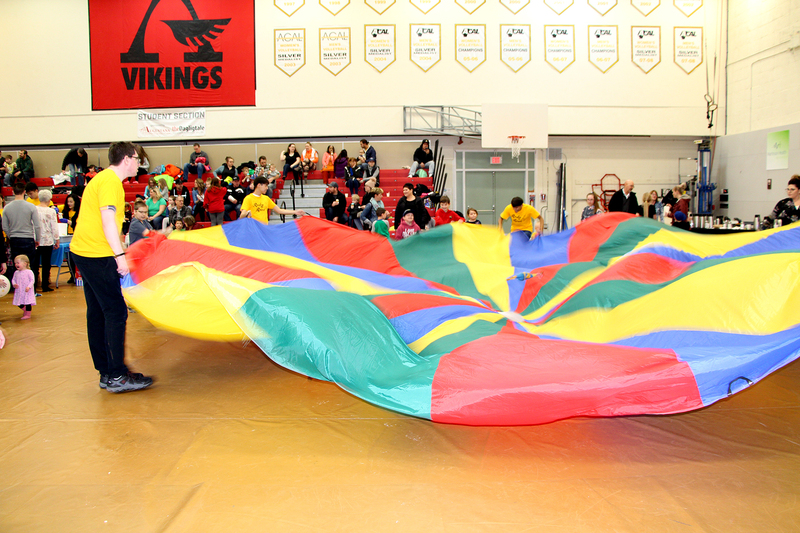 Augustana students and visiting Camrose children play with the big parachute during the annual Rocky Road event in the Augustana Gymnasium Jan. 27. 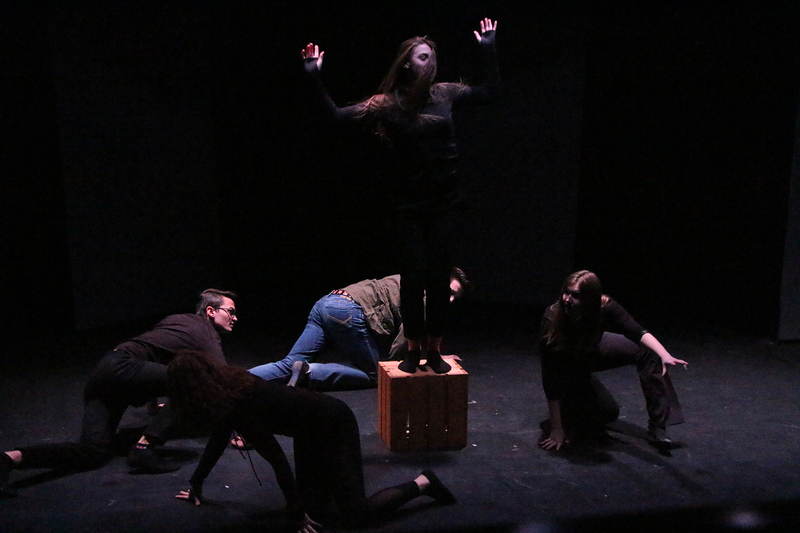 Photo by Sarah Laflamme. 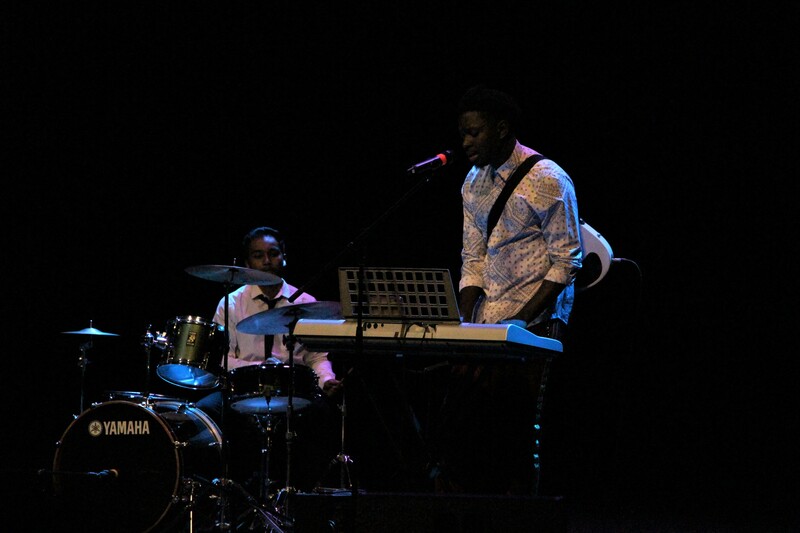 One Night in Africa! 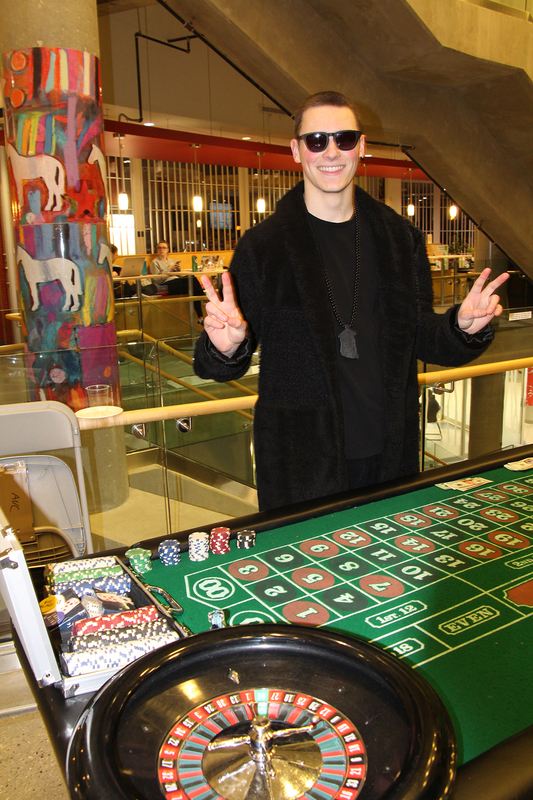 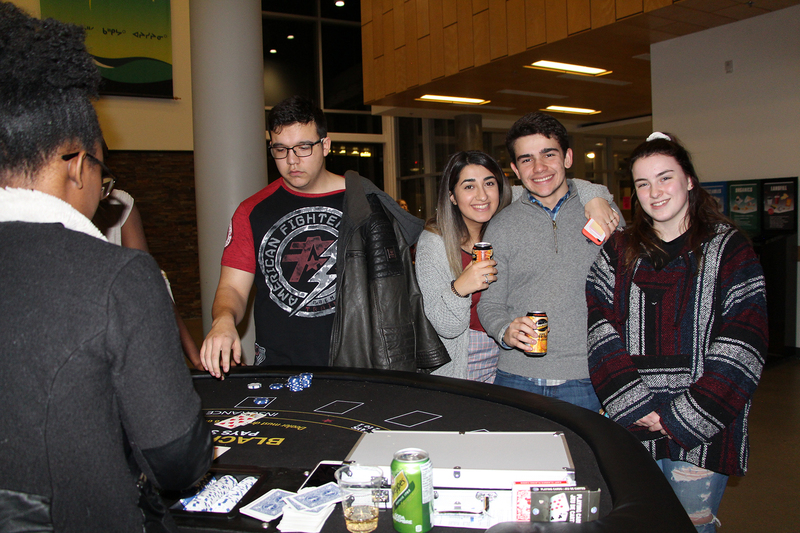 Students take a break from studying for finals to participate in the annual ASA Casino Night. 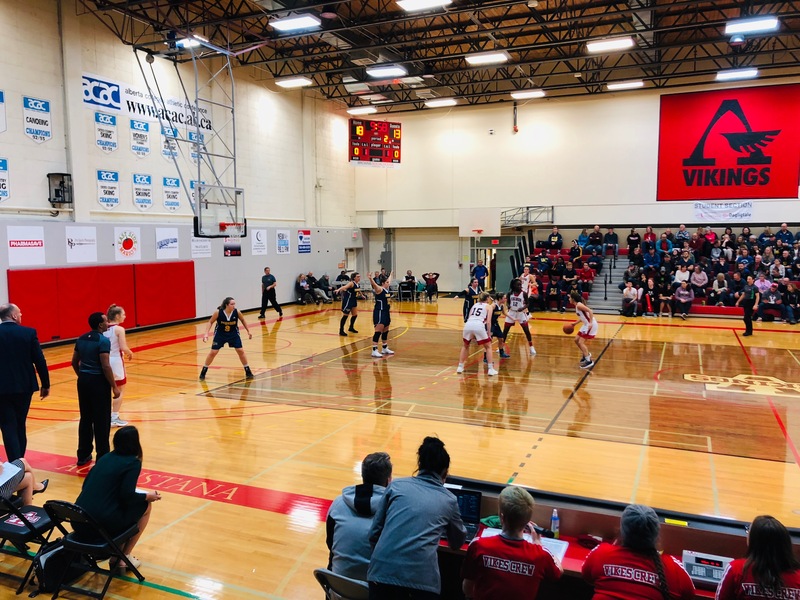 The Augustana Vikings women’s team looks to rebound the ball during their home game the Concordia Thunder Jan. 26. 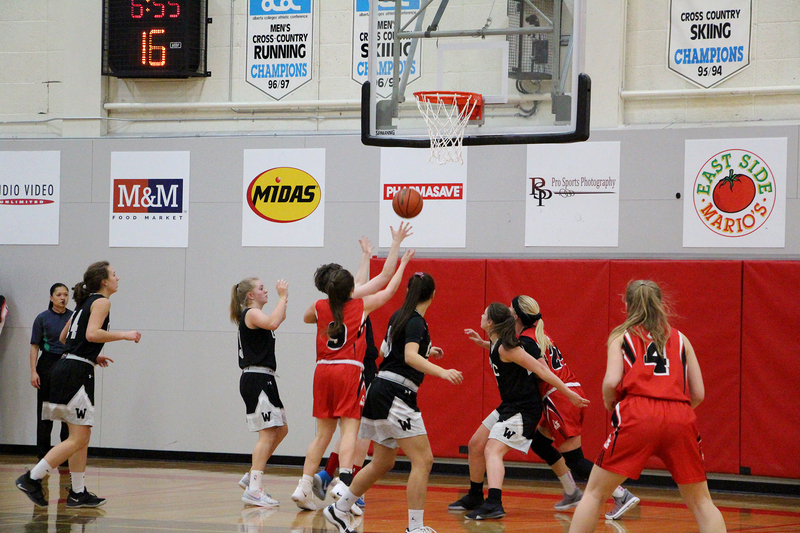 The team lost at home 67-64 but had won the night previously with a score of 81-71. 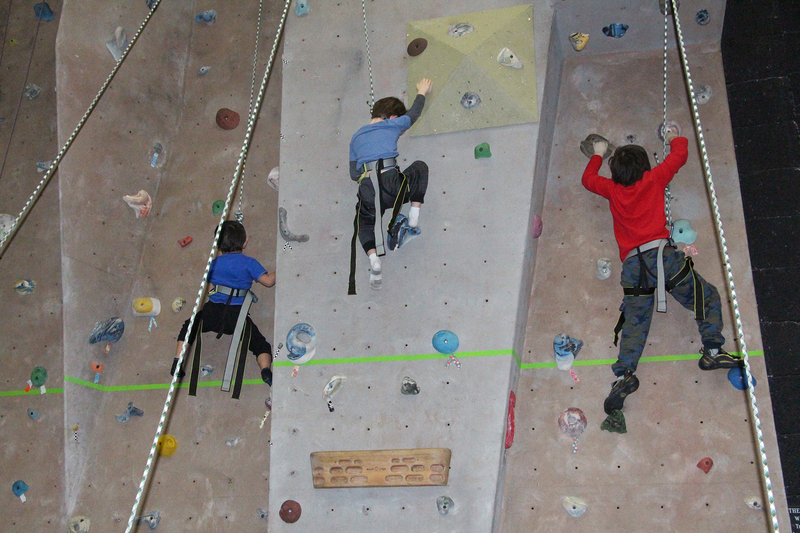 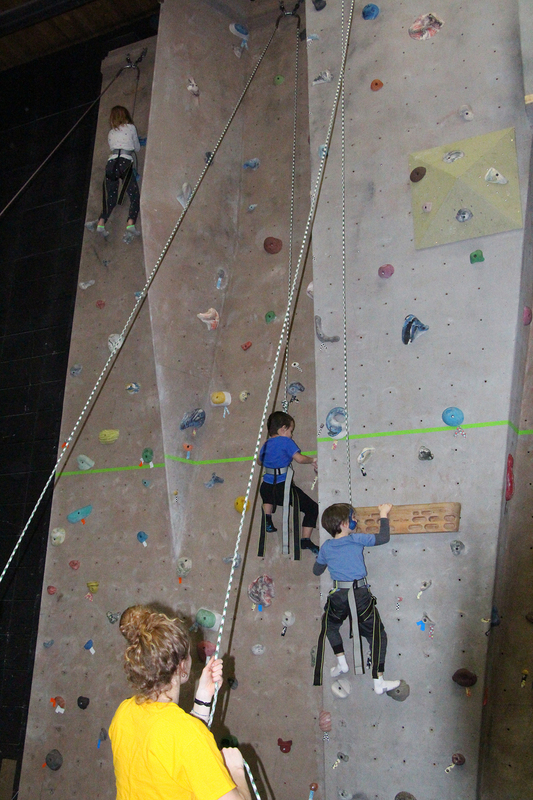 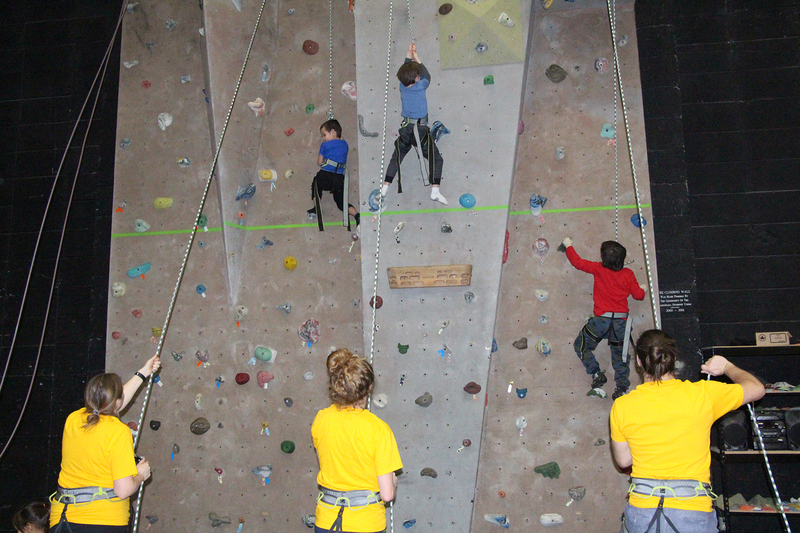 Children learn how to use the climbing wall during the annual Rocky Road event in the Augustana Gymnasium Jan. 27. 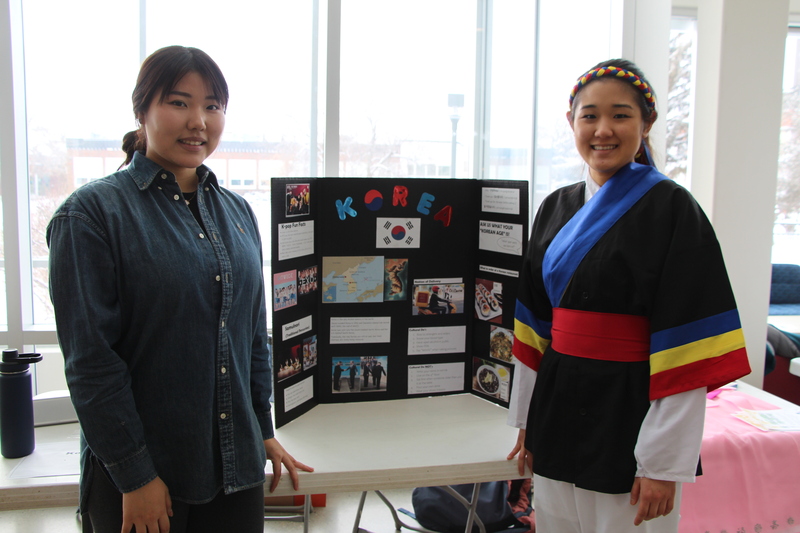 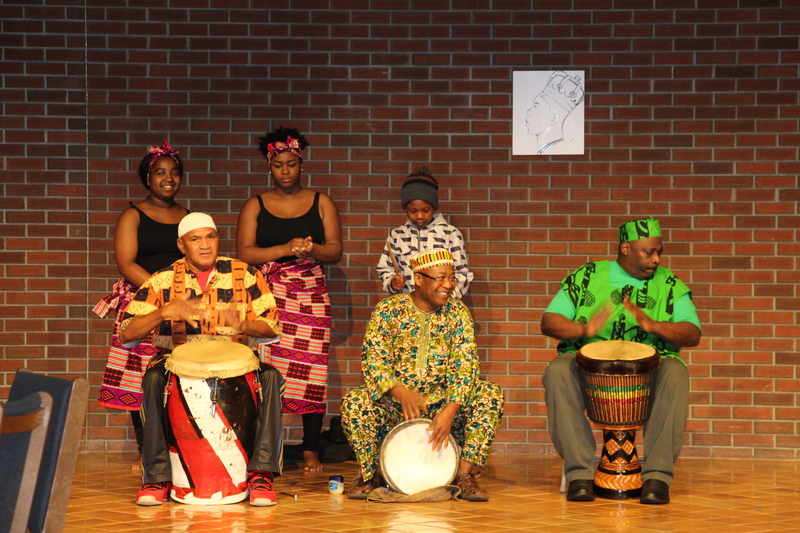 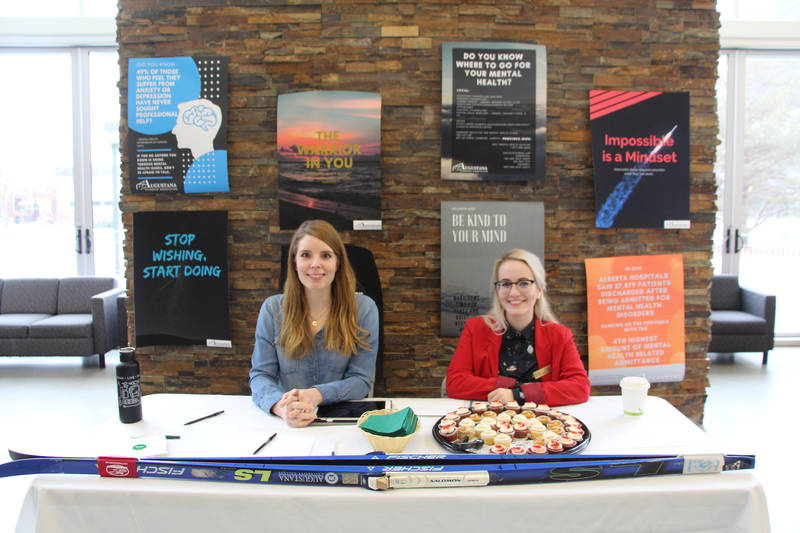 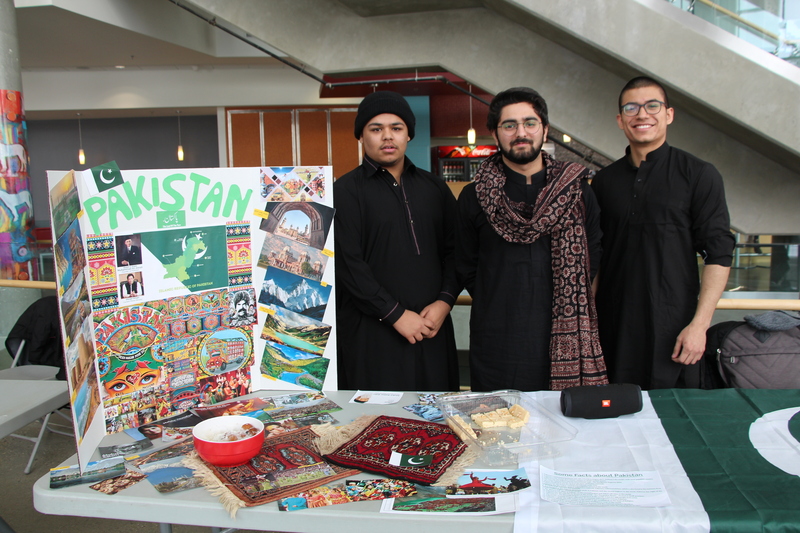 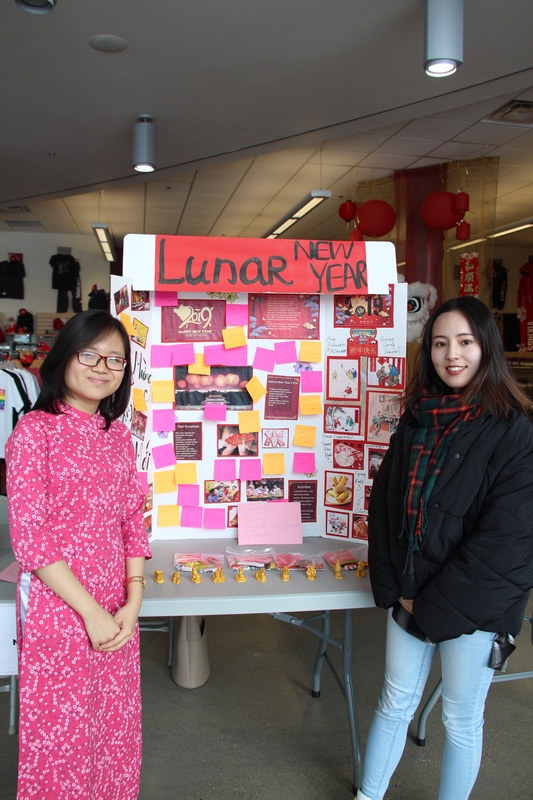 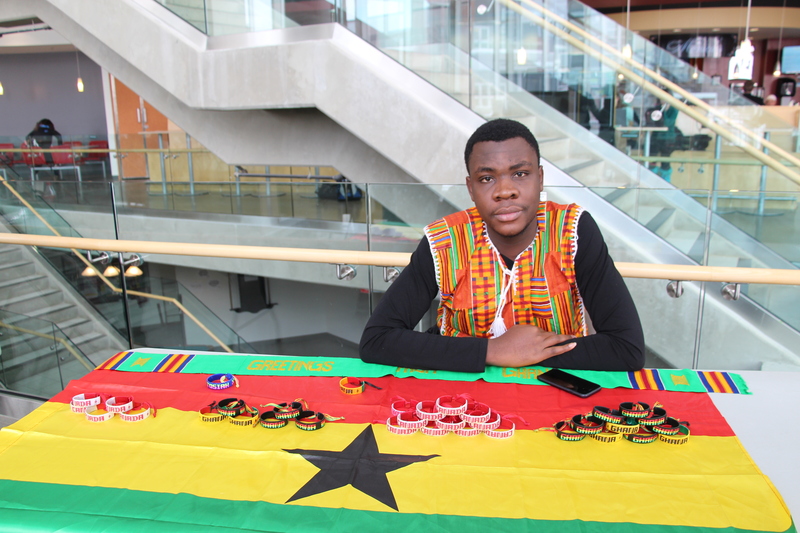 Students present tables with information about their countries during International Week from Feb. 4-8.